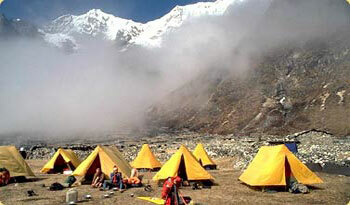 Pachhermo peak is an eye-catching snow peak lying south of the Tashi Lapcha pass in the Rolwaling region. The peak was first ascended in 1955. The face of northwest ridge is a uniform slope broken by a series of crevasses that rise from the rocky lower buttresses above the Drolambau glaciers in the west. Tso Rolpa Ice Lake, Beding village (village of mountaineers), magnificent views of Gaurishanker range and Everest ranges and glaciers. Day 22 : Trasnsfer to airport for your onward destination. Please note: We have more fixed departure climbing peaks booked for 2016/2017, please contact us for details.